Robot Butts. 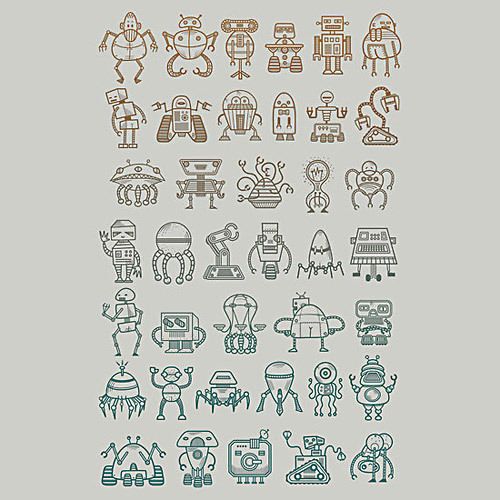 Rows of Robots, some are ‘cheeky’, some are not. Subtle on some colours.